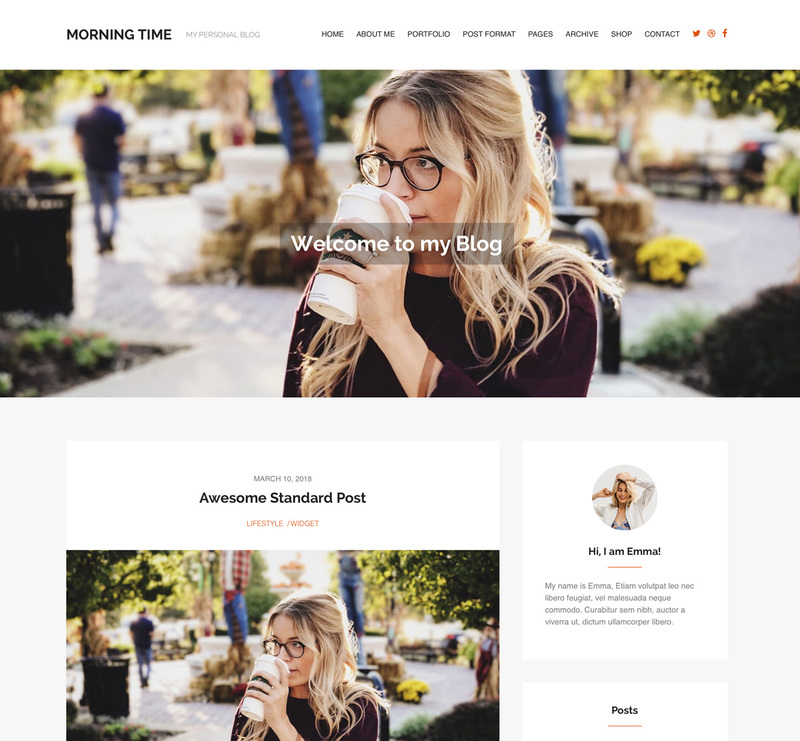 Morning Time is a vibrant, highly functional and attractive Personal Blog WordPress Theme perfect for Journalists, Family Blog, Personal Blog or any creative looking to share daily thoughts distinctively. This theme packs dozens of amazing features and a unique design that bring infinite possibilities to your blog. The theme is sure to grab your visitors’ attention due to the elegant layouts and various post formats and to preserve precious memories with a unique archive. If your plan is to have a visionary Personal blog, try Morning Time today! Morning Time has everything a blogger needs from a Premium blogging theme to create an eye-pleasing and compelling blog. Upon first glance, you will notice that this beautifully defined theme offers a fully responsive layout for viewing in hand-held devices. This will improve your visitors’ user-experience and give you better rankings on SERPs. This is a complete blog theme with 1 Custom Post Type, Unlimited Color Schemes, Unlimited Widget Areas, strategically placed Social Buttons and Multilingual Ready. If you have been unsuccessfully searching for a unique way to present your work and share your ideas, Morning Time WordPress theme is here to save the day! Showcasing your portfolio in an organized manner is important, and Morning Time will help you do just that! This theme gives you the freedom to customize your blog’s look by organizing your portfolio into 3 categories: print, logo design, and icon design. Morning Time gives you a platform to showcase your stunning portfolio for the world to see, and you will have total peace of mind knowing that you have picked the right theme. 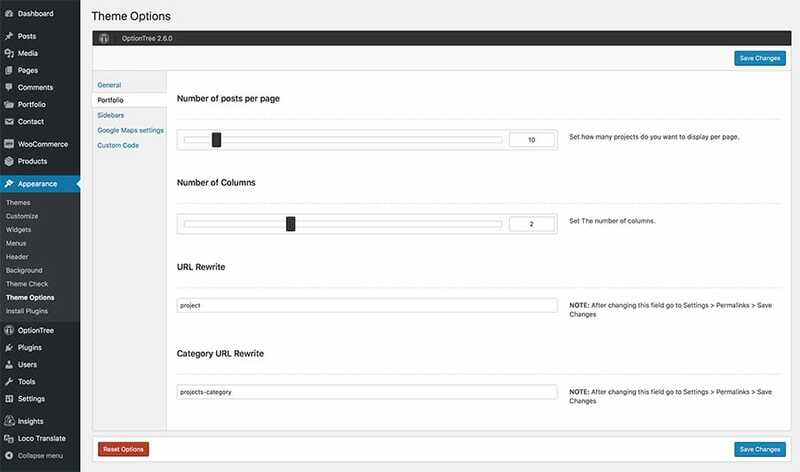 Morning Time WordPress theme allows you to make your older posts available in time thanks to the Blog Archive Feature. Your archives represent the heart and story of your blog. You no longer have to worry about older posts disappearing when you choose this Personal Blog WordPress Theme. Your visitors can easily peruse through your past posts any time in the future. Morning time provides you with multiple ways to showcase your content. Each of the 7 formats structures your post differently and uniquely to enable you to handle your content as you wish. To make your posts more engaging, chose one format from Gallery, Audio, Video, Image, Quote, Link or Aside. Get Morning Theme now and start to build an amazing Personal Blog with it! The theme is WooComerce ready so you can turn your site into an online store. It allows you to create a professional and beautiful site to sell any kind of products. WooCommerce is the most popular eCommerce platform and will make it easy to handle inventory, payments, shipping and more. The easy Advanced Theme Options in Morning Time allows limitless customization options that offer lots of possibilities to set your personal blog website up the way you like it. The theme lets you create and customize different aspects of your site including portfolio (number of posts per page, number of columns), Google Maps, etc. Great looking theme. Best of all is the superb support I received when I needed most. They are helpful, patient and always resolved quickly the mistake I made. Great theme, super flexible. Their customer support team is fantastic, fast response and addressed all my questions in a comprehensive manner. Great work! Love It! This is a fantastically customizable theme that looks nice in any configuration. Highly readable and well organized, I have noticed an increase in the retention and engagement of my readers. Also, quick customer support for when I was making silly user mistakes. This is the third theme I’ve paid for and it’s easily my favorite!